You can connect using a 4G phone, or use a JioFi device - there are more than a few variants of those that have been released since the first JioFi came out. 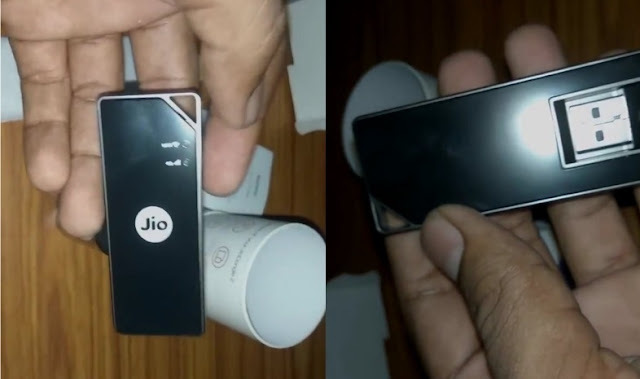 The Jio Dongle 2, is now available in Reliance Digital stores along with Jio SIM cards and the JioFi, and like the JioFi, it allows you to connect to the Internet even without a 4G device. Unlike the JioFi, the dongle does not come with a built in battery pack, so you will either have to connect it to a power source, or plug it into your laptop to generate a Wi-Fi signal. The Jio Dongle 2 is available at the same price as the JioFi - Rs. 1,999. Reliance Jio's new JioFi is larger than its predecessor and sports a squarish shape with smooth edges. It has a sleek matte finish design, compared to the glossy egg-shaped original JioFi wireless hotspot. The most notable difference is the Oled display housed on the top. The new Reliance Jio device shows whether the power is on/ off, the amount of battery life left, the 4G signal strength, and Wi-Fi signal strength. The large form can be credited to the 2600mAh battery integrated inside. To compare, the original JioFi had a 2300mAh battery.